CAPT houses the Isabel Briggs Myers Memorial Library, the largest collection of information and materials dedicated to the MBTI® instrument and type research anywhere. The library's holdings have been maintained by CAPT since 1976 and include thousands of items gathered throughout the world, from dissertations and conference proceedings to articles and newsletters. The main collection was started by CAPT co-founder Mary McCaulley, Ph.D. She spent years assembling typology and MBTI research through purchases and donations. Today, the library continues Mary McCaulley's work by acquiring new materials and making them accessible to the type research community. 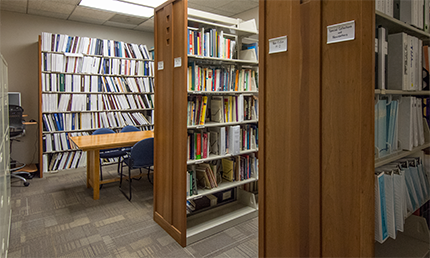 To date, the library has over 5,100 articles, over 1,450 theses and dissertations, and more than 900 books on psychological type, as well as periodicals, conferences, and more. CAPT is still happy to accept donations. The library benefits from the generosity of authors and publishers who donate copies of new works, as well as personal collections, research and translations. Donations to CAPT are tax-deductible. The library is open to visitors during CAPT's normal business hours. We welcome your feedback and questions. Contact the librarian with your comments by sending an email to the .